The 6-5, 205-pound junior, who hails from East Windsor, Conn., had a very impressive regular season. Civale posted a 0.36 ERA, recording five saves in 27 innings pitched and striking out 30 batters. The Harbor Hawks clinched the top seed in the West Division and enjoy a 1-0 series lead over the Bourne Braves in the West championship series. Civale faced one batter in Game 1 and recorded a strikeout. 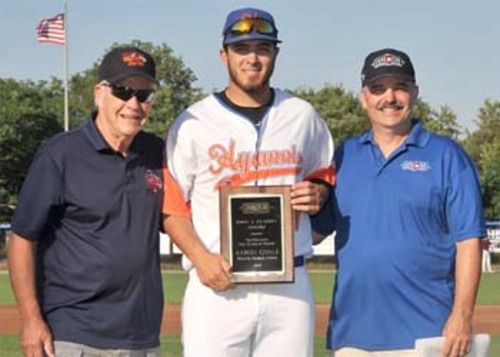 Civale also was named to the West All-Star squad this year and struck out one in an inning pitched in the All-Star game. At Northeastern, Civale went 7-2 with a 3.24 ERA during the 2015 season, and was named to the All-Colonial Athletic Association Third Team and the CAA All-Academic Team.